Today I have a variety of cards to share. They all use different Designer Series Papers that helped in choosing the color palate of each one. Just changing up the DSP on a card design can make a totally different-looking card! 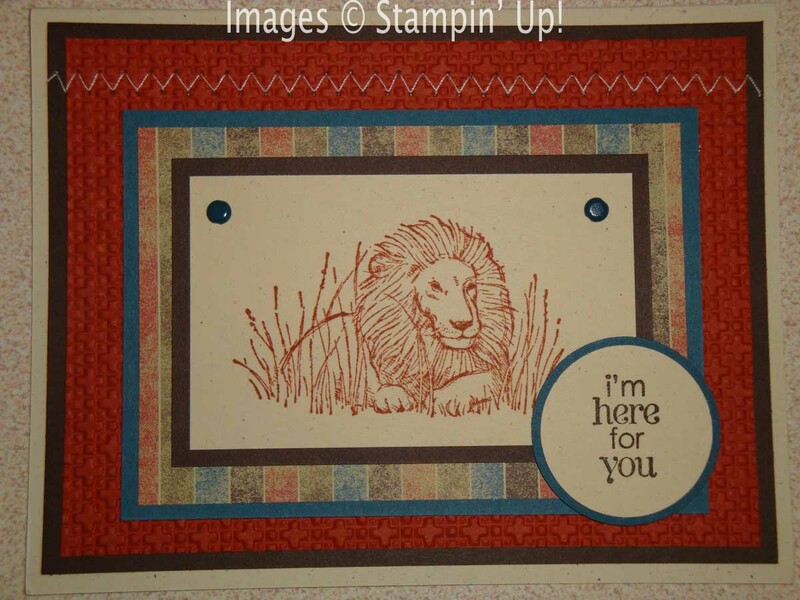 The first card was made by Danelle Henry. 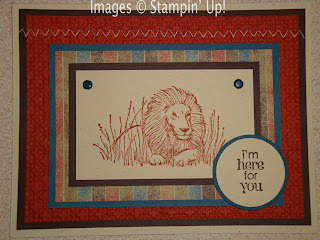 She used this regal lion from the Zoo Review stamp set (pg. 105 in the IB&C). The colors she chose came from the Well Worn DSP - Early Espresso, Cajun Craze, Not Quite Navy, and Very Vanilla. Such a great card with lots of layers! Neida Salazar made this next card. This falls under the "wow-that-card-took-a-lot-of-work" and the "I'm-glad-I-got-one-of-these-because-I-don't-think-I-would-do-that-on-my-own"categories. 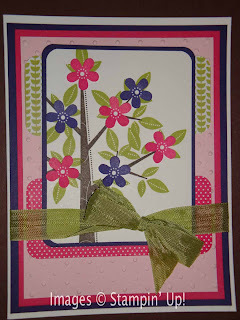 It's such a bright, beautiful card made with the Season of Friendship stamp set. Neida used the Cheerful Treat DSP (hostess) for her color choices - and I'm pretty sure she cut each one of those flowers out individually! It's a GREAT card and I'm so glad I'm lucky enough to have one! 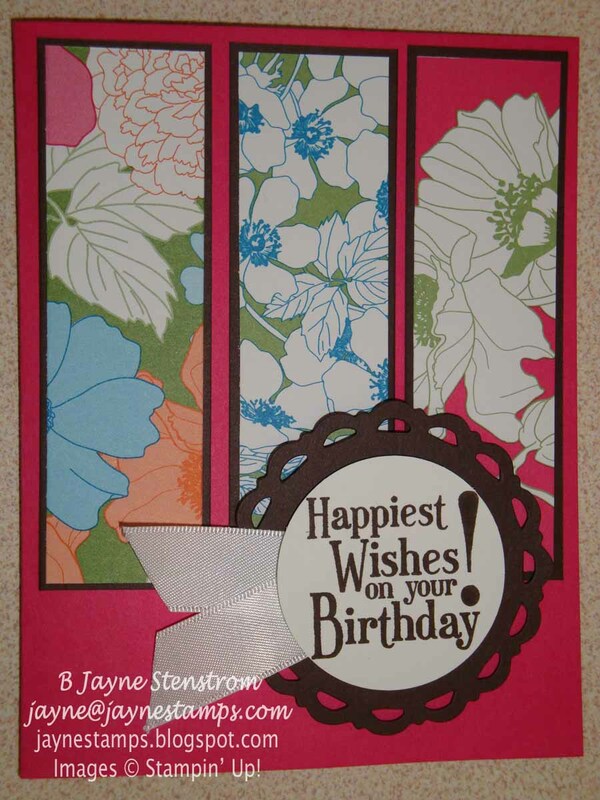 This card is one I made for a friend's birthday earlier in the month. 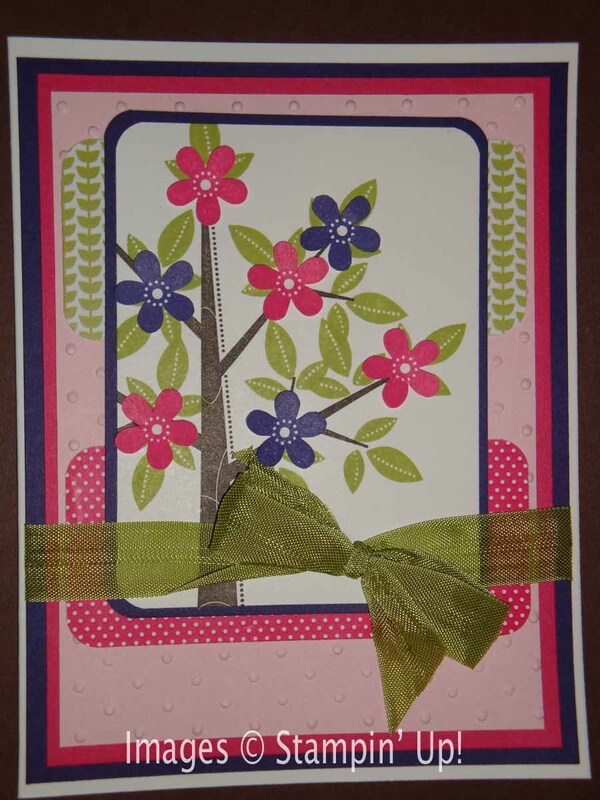 It is very similar to another card I made with the Beyond the Garden DSP - this one uses Melon Mambo as the card base with Early Espresso as an accent. 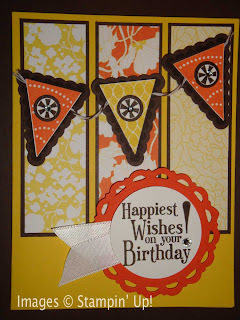 Here is the similar card done with Daffodil Delight cardstock and Tangerine Tango. 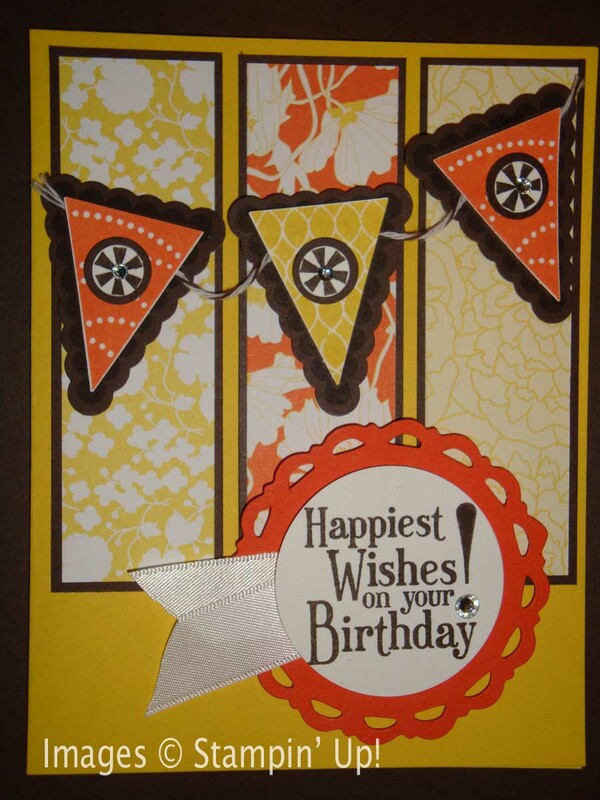 So break open those packages of Designer Series Papers and get inspired to start creating! And when you do, send me a picture of what you make - I'd love to see your creations!